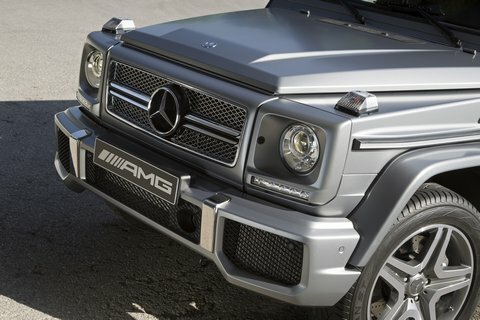 The G 65 AMG, the first G-Class with 12 cylines and 612 hp (450kW), has already been offered by Mercedes-Benz. 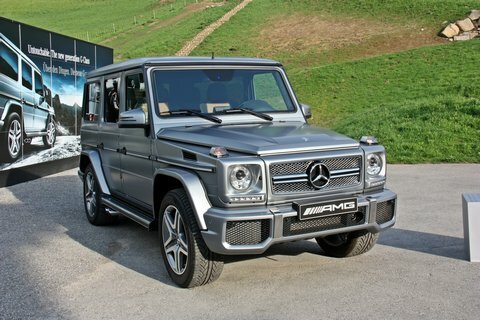 It is quite true: We thought at first a typing error, as we the price difference of the G 63 AMG from 137.504,50 Euro with its 8 cylinders and 544 HP (400kW) to the 12-cylinder model G 65 AMG with 612 PS (450kW) : 264.180,00 Euro – 126.675,50 Euro should cost the larger model more. And the details were right. The AMG logo on the headrests, the V12 biturbo lettering on the sides of the car, as well as the standard upholstery designo leather, two-tone in rhombic look, is an optical distinction between the two AMG models, but the difference in appearance is minimal In the interior (which is part of the designo exclusive package, optional in the G63 AMG), but here with AMG-specific V12 seat graphics. The instrument panel is leathered as standard. The G 65 AMG will remain an exot on German roads – thanks to its 612 hp out of its 12-cylinder BiTurbo with 5,980 cm3 – thanks to the price structure. The engine delivers 1,000 Nm of torque and, according to the manufacturer, has an incomparable mux of power and running culture. The 6.0 liter V12 BiTurbo has been reworked for the use of the engine.